Last time out we looked at the real underdogs who would be attending the Major, those whose chances of a deep tournament run were placed somewhere just above the absurd. Now let’s look at those with a puncher’s chance, teams with enough firepower to win matches but maybe not enough staying power to make it into the business end of the proceedings. I’ll start with G2. You have to wonder if this team was what Jean Paul Sartre was talking about when he said “everything has been figured out, except how to live.” The team that finally threw together the two greatest talents in French Counter-Strike, Richard “Shox” Papillon and Kenny "KennyS" Schrub, was touted as further evidence that we existed in an era of super-teams. Unthinkable powerhouse line-ups all capable of beating each other making it a time when no tournament or trophy was guaranteed to go to anyone. 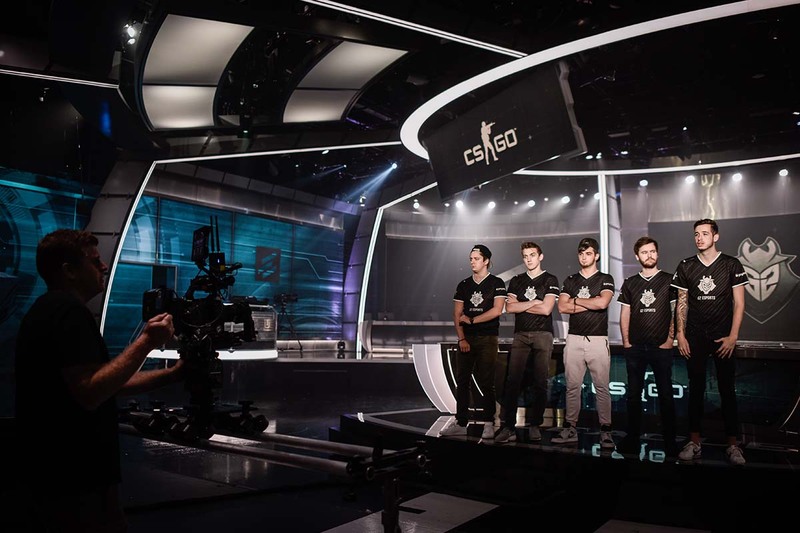 In reality, G2 have never delivered on that promise, a win at DreamHack Malmo notwithstanding. Papillon’s form has flung itself off a cliff leading to his seasonal existential crisis where he tries to reinvent himself as an in-game leader. Schrub has that look on his face again, the one where you can see the cogs turning behind the eyes, wondering if once again he is destined to shine amid mediocrity, wasting his best years underachieving. There is a sense, despite all the media work stating to the contrary, that if this team doesn’t perform here there may be changes. Still, they’ve been given a gift in their first round match, being drawn against Flash Gaming, a team who weren’t even expecting to be at the major. A winning start is all but guaranteed but this is a team that hasn’t managed a top four placement since October and they had four chances to break that hoodoo… Is anyone confident of them looking like the team they should be, suddenly and at the biggest tournament on the calendar? The worrying thing is you sense even the players aren’t. Also in the “too big to fail but failing anyway” category has to be Na’Vi. Captain Danylo "Zeus" Teslenko managed to script one of the greatest storylines in all of Counter-Strike history when, after being usurped from his leadership position, he went to Gambit and won a major against all odds. Returning to Na’Vi looking like the cat who got the cream, everyone felt that the lessons both parties had learned would see the yellow and black attack finally deliver on their promise. Two problems with that narrative… The first is I don’t think anyone really learned any lessons at all. Teslenko got to play with a much more passive and, honestly, talented bunch of players and it clicked in a way no-one could have foreseen. He isn’t a new man, he hasn’t changed, he probably won’t ever change. And, when he returns to the same players with their same idiosyncrasies, you’re going to get the same results. A lot of pouting, a lot of struggling and a lot of weight on the broad shoulders of Oleksandr "s1mple" Kostyliev. Even with the addition of prospect Denis "electronic" Sharipov, it’s Kostyliev that is having to drag this team kicking and screaming, quite literally in some cases, through matches. While he tries to play down his contribution, even daring to suggest he needs to do more on social media, right now he should rightfully be looking at his teammates to step up. Winning DreamHack Winter, a shadow of the tournament it once was that was populated by very ordinary teams, doesn’t mean much beyond the fact they can squeeze past teams marginally poorer than they are. Their results prior to that are a wasteland of disappointment and underperformance, which is what I expect to see more of here, unless s1mple manages to go beyond what are already heroics. Team Liquid are appropriately named as they will be treading water this event. Desperately hoping that with their stand-in, coach Wilton "zews" Prado, they can somehow make it to Legends status, they prayed for a good draw. Eternally cursed from the moment they first picked up a CS:GO team, though, their prayers bypassed the man upstairs and ended up in Loki’s inbox. Congratulations, you have the pundit’s favorites to win the whole thing, FaZe. And if you’re a Team Liquid fan, or maybe even a Team Liquid owner, and you’re feeling like all is lost, you really have to understand you should never be in this situation. The team has been bungled and botched, teased with greatness but never getting there… It is a manifestation of the same, expensive mistake being repeated again and again; letting personalities dictate a roster that has had some of the best talent come and go. Every time it finally looks to be settled, the pettiness flares up once again until it leads to a change and all that previous potential swirls down the drain. And yet they exist as both fodder for hopeful teams and also possible dark horses. Even the worst stand-in imaginable wouldn’t detract from the core four, and two of those represent two of the best talents in North America, Russel "Twistzz" Van Dulken and Jonathan "EliGE" Jablonowski. Beating FaZe might be a bridge too far, but some fortuitous draws after they go 0-1 and anything is possible. They exist in a realm few teams do, the same realm as Schrodinger’s cat, existing in both a state of excellence and awfulness simultaneously. We talked enough about Liquid last time around, and Cloud9 too for that matter, although I think Cloud9 will do North America proud and get to the Boston stage. This has to be the part where I talk about the 100 Thieves team. They gobbled up column inches as Immortals, ironically, died in what still strikes me as one of the craziest ends to a team I’ve seen in recent years.How they will be received by the neutral fans remains to be seen… Will they be pantomime villains, booed because they essentially robbed the two players who called for professional behavior from a chance to compete at this event? Will they be cheered for being the uncompromising bad-boys of the scene, swaggering on stage like nWo from wrestling’s golden era? Too early to tell, and it’s also impossible to gauge whether or not they will deliver on the promise they showed at their first major outing in Krakow. It’s going to be fascinating watching old school 1.6 in-game leader Bruno "bit" Lima sink his teeth into this project. I think he’ll be the key. If his tactical brain can match some of the others active in the game right now, he definitely has the pieces around him to make a team that could be top 5 in the world. People forget it hasn’t been that long since people were saying Lincoln "fnx" Lau was the guy clutching the big rounds for SK Gaming. 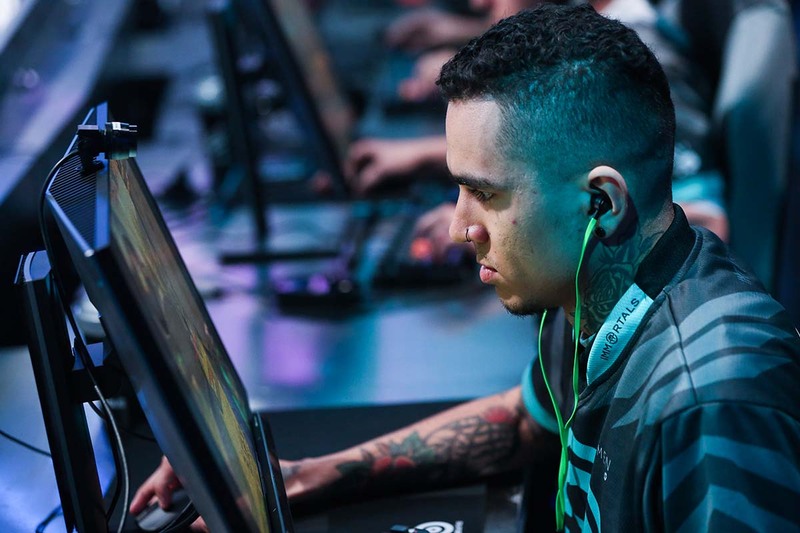 It hasn’t been that long since people were saying Henrique "HEN1" Teles was ready to finally be compared to the best AWPers in the game. This team has potential but they also have a self-destructive streak, a love of the celebrity lifestyle, and a bunch of big egos. This is either a high-powered sports car or a dumpster fire on wheels. It’s going to be fun seeing which.